These wonderful maps are being produced by Audubon Washington. With the completion of Eastern Washington's Palouse to Pines Trail map, six of the seven maps are now complete. The maps are beautiful as well as useful and they serve as yet another reminder to support the Audubon mission. 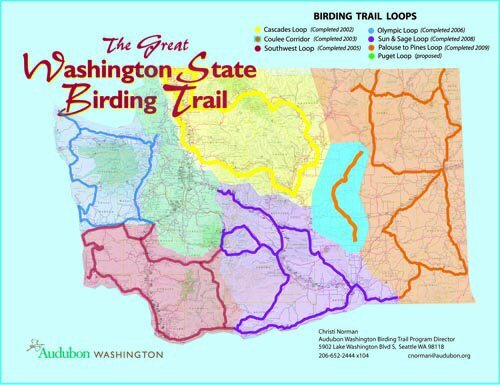 From their website, "The birding trail helps fulfill Audubon’s mission of inspiring a culture of conservation among our citizens while conserving and restoring essential wildlife habitat.